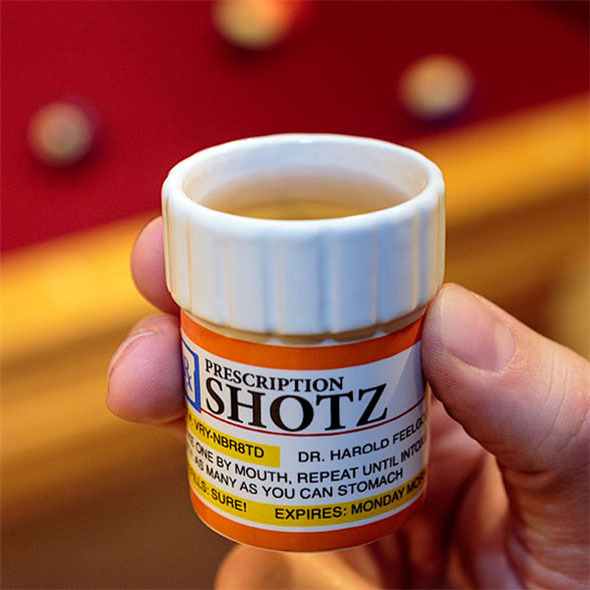 These Prescription Shot Glasses are just what the doctor ordered, or are they? 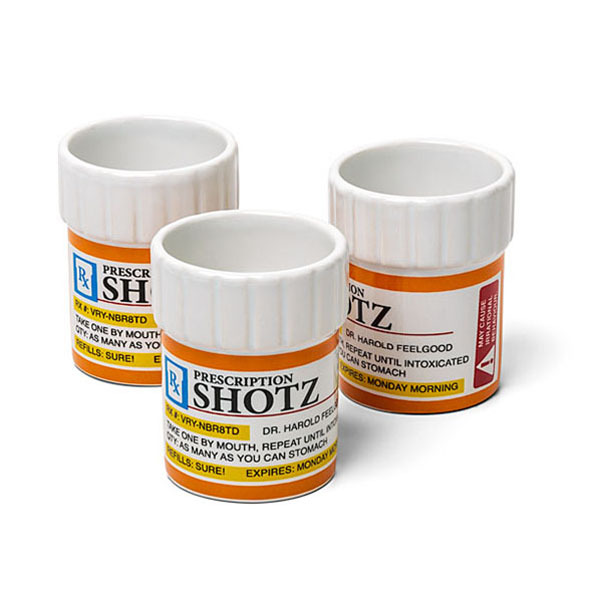 These novelty shot glasses contain a mock prescription on the outside, but the only thing we can see prescribed is for you to get extremely intoxicated! 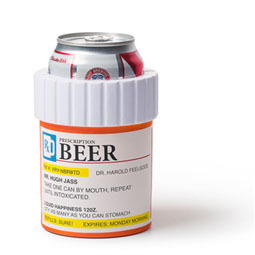 WARNING: Not a genuine prescription. Still, we were always told to read the label and follow the instructions - so make sure you drink up. Calling all individuals who have had a rough day. Calling all individuals who like a drink. Calling all individuals...anywhere and everywhere. 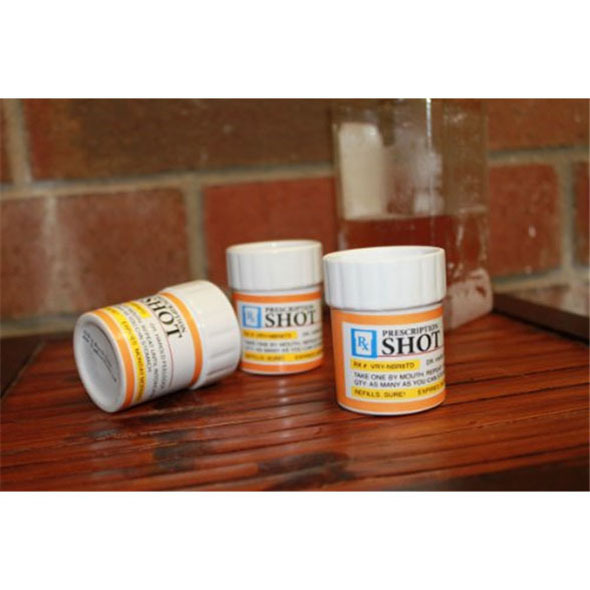 We think you need these Prescription Shot Glasses. 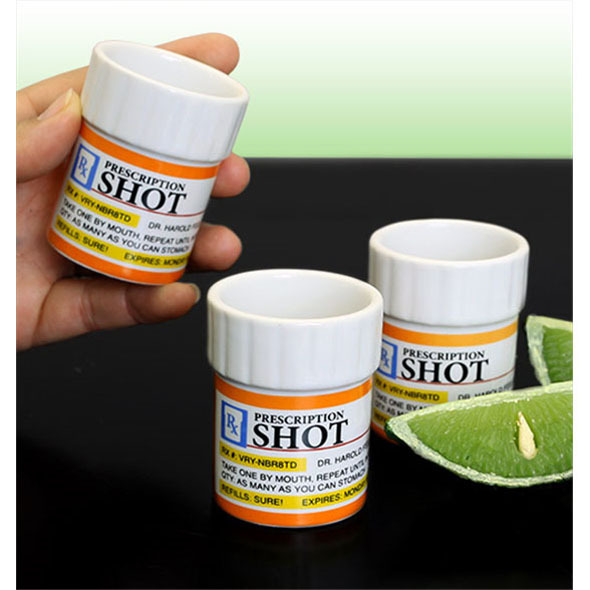 This amazing shot glass set contains 3 shot glasses shaped like prescription bottles - which is pretty ironic if you like to self-medicate on a Friday night (if you know what we mean...) These shots have been prescribed gy a Dr. Harold Feelgood and he says that you should drink one by mouth, repeat until intoxicated and drink as many as you can stomach and boy is that a prescription that we won't mind taking! Not only are these jolly little shot glasses the perfect pick me up with their witty banter printed across the front, but you can never have too many shot glasses. Fill 'em up with your beverage of choice and follow the instructions carefully - we'll guarantee you'll start to feel better in no time.